Cool Kids Have Community Hangouts!!!!!! Discussion in 'Sodom' started by Captain Zaven, Jul 15, 2011. The X Files? The X Files. I'm going to stream something called 'Oban Star Racers' at around 7:30pm tomorrow night. Hope to see you there! Stream Canceled due to lack of interest. Edit: Stream over! Thanks for watching, everybody! Damn, I wanted to show up to either/or, but then I fell asleep at 8:00, thus cancelling all of my plans. Something Chill, although I'm not sure if I'll be there. Who wants to watch me drink beer and play Goat Simulator? Everyone. Everyone is who. Imma gonna try streaming Oban Star Racers again tomorrow night - let's say 6:30 PST. Hopefully Synchtube co-operates as well. Okay we're doing this thing tomorrow at 6:00 instead. Just as well - it'll make for a decent Birthday Stream of sorts. It's the first session of a new campaign, and I'm very, very excited to get into it. NoooOoOo OOoo Iwas too late! I wanted to drunkenly crash as stream. A fortuitous discovery has been made! 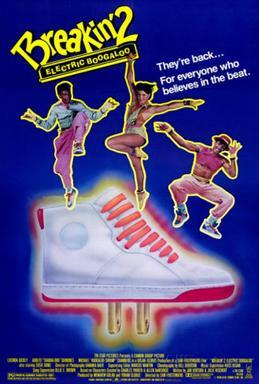 Breakin' 2, the ORIGINAL Electric Boogaloo, is present in its entirelty on Youtube! With a tagline of "They're back...for everyone who believes in the beat", this film can be recognized in an instant for the masterpiece it truly is. This film classic boasts a three-star rating by Roger Ebert, and was described by film critic Arnold White as "superb". Don't miss out on this once in a lifetime chance to enrich your life through the magic of breakdancing! Tomorrow night at 11pm(Atlantic Time, so probably earlier for you), is when the magic is happening. Be there or be square! Might have to postpone the Breakin' 2 stream because it turns out all the videos were lies and I can't find the full version!